Hello :] So how was your thursday? If it wasn't good, don't worry, it's friday! And Friday's are awesome. 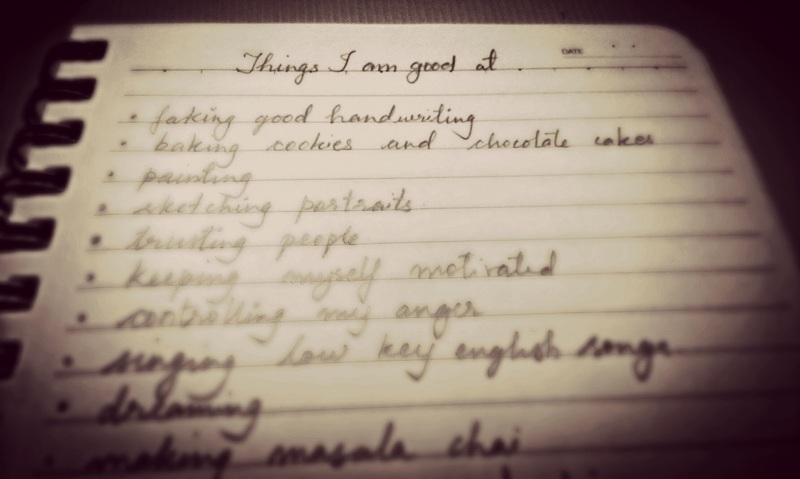 So today I was tumblring and I came across a picture where someone had written all the things they are good at doing. And I was like, hey! 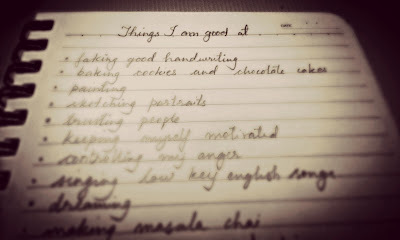 I want to write all the stuff I'm good at too. "So I go to visit my father in Vienna, I'm walking around this town and I see this old lady. She must have been about 90 years old and she is sweeping the street. I say to my father "What's this nice old lady doing sweeping the street?" He says "She's got a job, she feels useful, she's happy, she's making the street clean, she's not put out to pasture". We treat old people in this country pretty badly. We put them in rest homes, we kinda kick them under the rug and make believe they don't exist. They [the people in Vienna] don't feel like that. In a lot of these older places in the world, they value their older people and their older people feel they can still be a part of the community and I thought 'This is a terrific idea - that old people are useful -and that means I don't have to worry so much about getting old because I can still have a use in this world in my old age. I thought "Vienna waits for you..."
I'm sleepy now so nighty night! 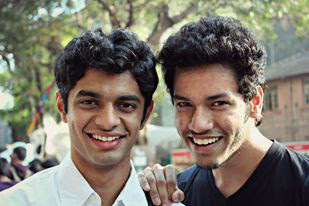 I have an amazing lunch to look forward to with two amazing people I know (they are in the picture below). :) I hope you enjoy your Friday just as much! 'This is a terrific idea - that old people are useful -and that means I don't have to worry so much about getting old because I can still have a use in this world in my old age.